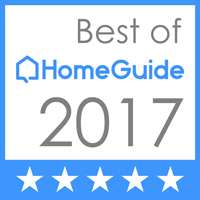 a2z Renovations is proud to announce that, once again, we’re the recipient of the highest award given by Angie’s List, the home of reviews you can trust. We have now received their coveted 2018 Super Service Award for 8 years running and 2019 is off to a GREAT start. Angie’s List has been featured in the Wall Street Journal, the New York Times, CBS’s Good Morning America, and Fox News, among others, as an outstanding tool to help consumers get the best service possible. 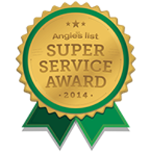 The Super Service Award tells a client that they’re dealing with a business that’s been checked out. Reviews posted by Angie’s List members are not anonymous, and all review data is certified before it’s posted. So what does that mean for someone who’s looking for a contractor they can trust? There are 13,000 registered contractors in RI. Fewer than 1% of them (that’s fewer than 130) receive the Super Service Award in the Ocean State. We’re also ranked #1 in our category between Providence and Boston! a2z Renovations really stands out in the crowd! This entry was posted in Uncategorized on January 30, 2014 by A2zRen.